DO NOT PET! This warning tells people that your dog isn’t there for their entertainment. 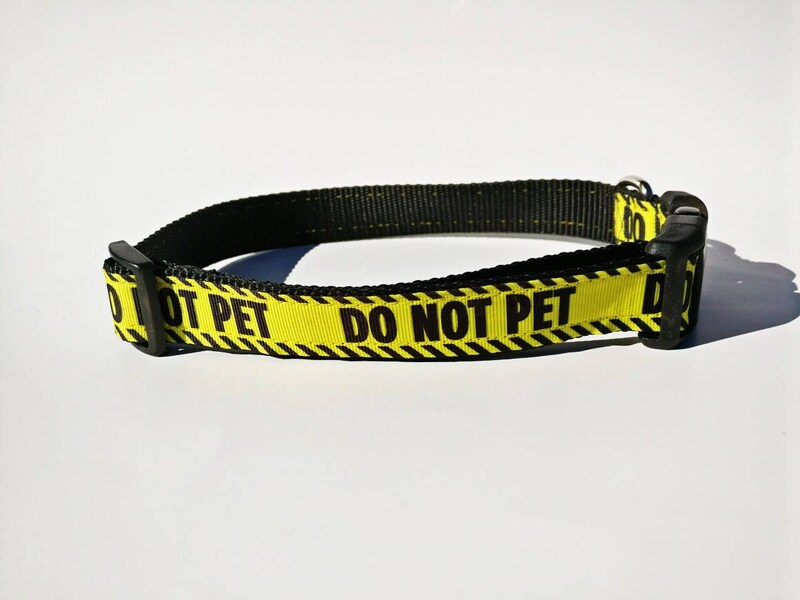 Perfect for service/working dogs who have a job to do and don’t need the distraction, or for dogs who simply prefer other people keep their distance. 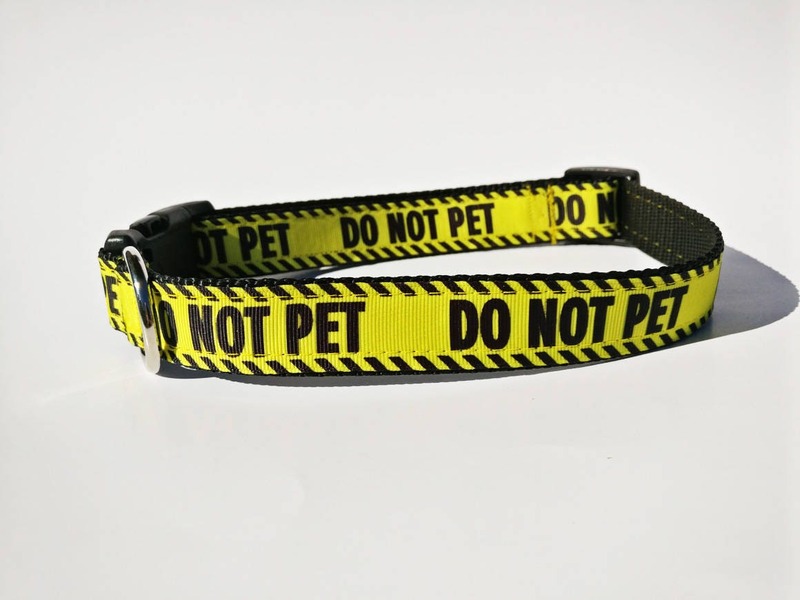 This is a great design even if you are just tired of people always running up to pet your dog instead of asking first. 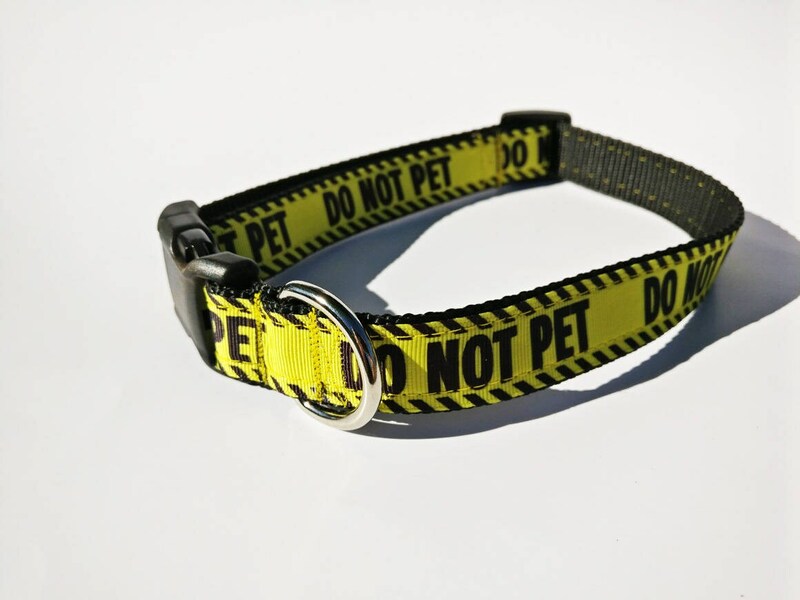 This design CAN be sewn into the back of a leash with any other design on it, please contact me for more information on this option.